In a bit of Doctor Who-esque regeneration, Dos Equis on Wednesday introduced its new Most Interesting Man in the World—to replace Jonathan Goldsmith, who retired from the role earlier this year. And this MIM isn't just a new face. He heralds a new approach to the ads, in what the brewer calls a "contemporary twist to the legendary character." He's actor Augustin Legrand. 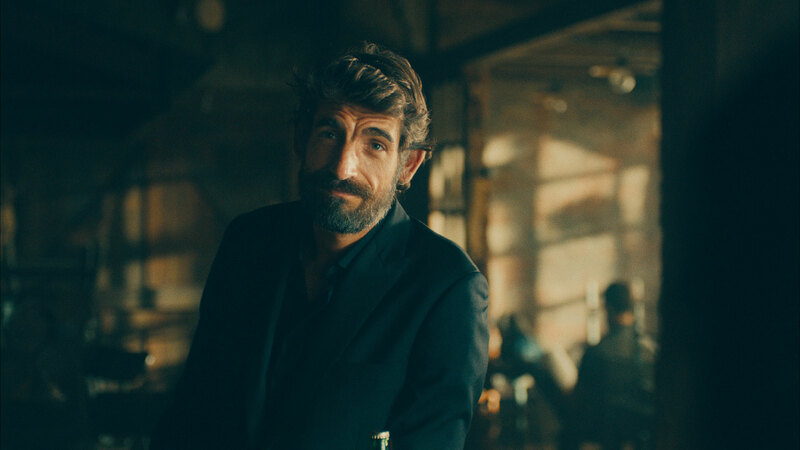 And in the first hint that this isn't your worldly grandfather's Dos Equis campaign, Legrand is actually a French actor, and he delivers his first line as the MIM in Spanish. The Spanish setting and dialogue of the opening spot aren't merely incidental. Hispanic consumers are a much bigger part of the beer-drinking market than they were when MIM launched nine years ago. And of course, Dos Equis is a Heineken-owned brand with a Mexican name and heritage. As for Legrand's version of the character, the brand says he'll be doing less reminiscing about past glories, which was the amusing Goldsmith style, and more hands-on adventure seeking in a kind of James Bond style. "The new Most Interesting Man is a man of our times, and in this first glimpse, he shares hints of being a resourceful, rough and tumble guy, who remains a jack-of-all-trades hero that one would expect from the man bearing this infamous title," the brand says in a statement. "Viewers get a quick preview of his latest adventures and new friends including his love of sports, as he emerges from a well, ball in hand, to save a game of soccer." On the other hand, as different as Legrand's character will be, visually he looks quite a lot like Goldsmith, and the same voiceover actor introduces him. There's also a nice meta feel to this first spot, with the bartender asking Legrand literally if he's as interesting as his predecessor. Dos Equis is no doubt, deep down, wondering the same thing. "The meaning of 'interesting' has evolved over the past decade, and this campaign features a new character and look and feel that opens the door to a world of interesting possibilities for today's Dos Equis drinker," Andrew Katz, vp of marketing for Dos Equis, said in a statement. "With the reboot of the campaign, we're celebrating the good times The Most Interesting Man has with friends wherever he travels, while highlighting our refreshing cerveza. In the coming weeks, fans will have the opportunity to get to know the new character in a uniquely interactive way." The old campaign style isn't completely going away. The brand will return to the classic vignette style in its next commercial, breaking Oct. 19 and synced to Dos Equis' College Football Playoff sponsorship. But the October launch will also show the modernization of the campaign, as it will include social integrations on Snapchat, including a national lens available for College Football Game Day on Oct. 22.